The Uppingham and Grantham showrooms will be closed from Tuesday 23rd December at 16:00 until Saturday 3rd January 2015 when we will resume normal opening hours. We would like to thank you for your custom throughout 2014 and we are wishing you all a merry Christmas and a happy new year.. Homeowners relying on expensive, dirty oil for heating will be offered payments of thousands of pounds from Wednesday to switch to renewable energy alternatives in a government drive to cut carbon emissions from heat. 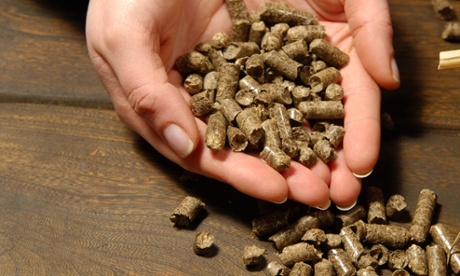 The domestic renewable heat incentive, which was meant to launch in 2012 but has been repeatedly delayed, is the first scheme of its kind in the world, offering financial incentives for low carbon heating technologies including boilers that burn wood pellets. Around 18,000 households who have installed the technologies in recent years are already eligible to start receiving the payments, which will be made quarterly from public money over seven years. Although the scheme is open to people with gas-fired boilers, the upfront and running costs of the technologies means they will be most attractive to homes off the gas grid reliant on oil or electricity for heating. Greg Barker, the climate minister, said: "This is the first scheme of its kind in the world – showing yet again that the UK is leading the way in the clean energy sector. Not only will people have warmer homes and cheaper fuel bills, they will reduce their carbon emissions, and will also get cash payments for installing these new technologies. It opens up a market for the supply chain, engineers and installers – generating growth and supporting jobs as part of our long-term economic plan." The technologies eligible for the payments include biomass boilers, solar thermal systems that provide hot water, ground source heat pumps which draw heat from warmth underground and air source heat pumps which extract heat from the air outside a home. Henry Robinson, president of the Country Land and Business Association, which represents landowners said: “We have campaigned for such a scheme for years so we are pleased that domestic properties in rural England and Wales now have the opportunity to reduce their heating bills while delivering environmental benefits." The RHI differs from the feed-in tariffs for solar panels launched in 2010– which paid for both electricity generated as well as exported to the national grid – by paying just for heat generated for use at home. Homeowners will have to pay for a green deal assessment of their home, which typically cost £100-150, before being eligible for the RHI scheme. Cathy Debenham, who runs the renewable energy advice website YouGen, said: "Its aim is to enable renewable heating systems to compete on a level playing field with fossil fuel ones. The payments, which are made over seven years compensate the owner for the price difference between the two, including the cost of borrowing money to pay for installation." However, she cautioned that people should make sure technologies are right for their property before switching. "Not all renewable heating is appropriate for every property. Heat pumps run at much lower temperatures than a standard boiler, and so they are most suited to well insulated buildings, ideally with underfloor heating." "Biomass boilers are significantly bigger than an oil boiler and will need more space, plus space to store the fuel, which must be kept dry. Solar thermal panels are not much use if you have electric showers, as most of the hot water they generate won't be used." Should you wish to change for a renewable heat, here at heatsource can offer packages for Biomass and/or Solar Thermal, so if you would like to know whether or not this may be feasible for you, please do not hesitate to contact us to discuss the possibilities today on 01572 829953 or 01476 569411. The perils of burning wet wood... Is it worth it??? We've made a presentation regarding the perils of burning wet wood and also burning overnight, please watch the presentation and ask yourself if this is happening in your flue...? Not chosen a stove yet, looking for an appliance with good credentials at attractive prices. Look no further than at Heatsource of Uppingham. 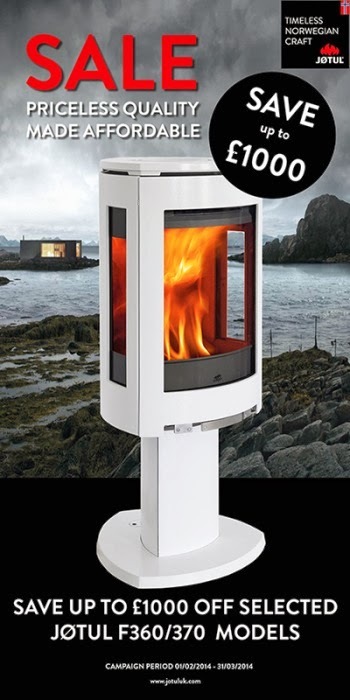 your local Jotul & Scan stockist in the Rutland, Leicester & Stamford area where you can bag yourselves a bargain with up to £1,000 off selected stoves including the Jotul F373 or the Scan 58. For more details on the 2014 Early Spring Promotion, just call our showroom on 01572 829 953 or pop in for a chat!